V.194 – Star Squad 13 Update Preview | Dexless, Maplestory Guides and More! Discussion in 'Maple Updates' started by Nexon, Mar 27, 2018. Join us on an adventure around the galaxy as we celebrate Nexon America’s 13th Anniversary of MapleStory! Visit different planets to take part in mini-games and anniversary events. Collect Stardust to spend on new rewards in the Galaxy Star Shop! Earn special event skills at the Maple Galaxy Academy to help you hunt monsters and earn more Stardust. Then check out the returning Dice Master event, now with a new bonus stage that lets you roll the dice in a bid to collect the best rewards. 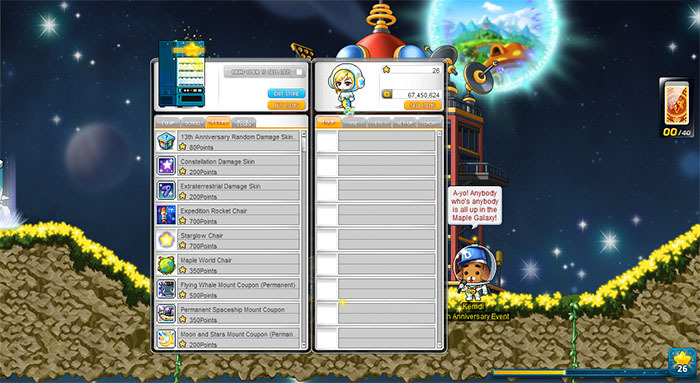 All this and more is coming your way in MapleStory: Star Squad 13! 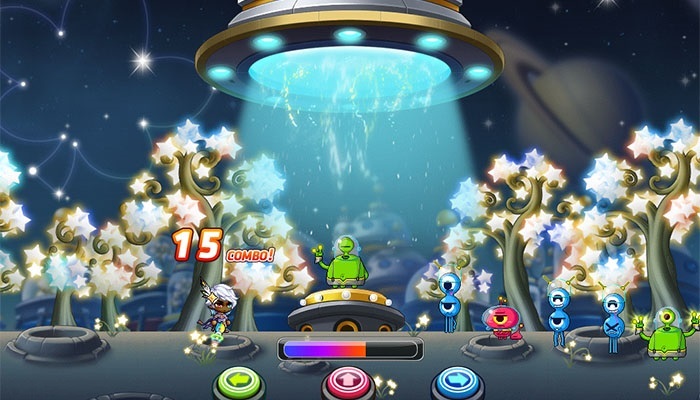 Different planets are home to different mini-games and anniversary events. 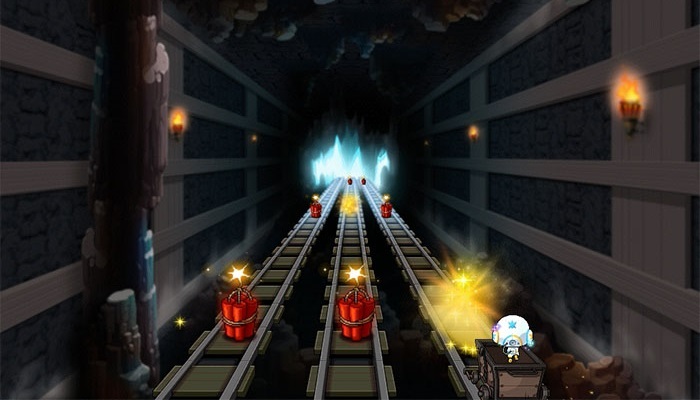 Planet Minel lets you ride through a tunnel in your mining cart, avoiding bomb obstacles in the path. Visit Planet Vita to receive special perks and benefits such as earning Stardust while on the planet and when performing a Star Force enhancement! On M-426, your goal is to help as many aliens as possible get on board your ship by clicking the key that corresponds to the color of the appearing alien. Play a game of Reverse Battle on Aquaworld, in which you must place and flip colored tiles to damage your opponent. On the chilly Planet Glacius, you can destroy monsters in the Sub-Zero Hunt and earn 120% bonus EXP! Collect elements and seeds from Maple World and use them to alter the environment in different zones of Petite Planet so that it can become a beautiful place like Maple World. On Planet Congestiopia, you must build a house as tall as you can by stacking floors on top of each other. Be careful to align the foundations just so, or pieces of your house may fall off! Click here to learn more about the 13th Anniversary events! As you celebrate during the anniversary events, you’ll be able to collect Stardust, which converts into Galaxy Stars to be used in the Galaxy Star Shop! The shop is stocked with out-of-this-world items including the Spaceship Mount, Expedition Rocket Chair, and new Maple Galaxy equipment set. You will also be able to get the Vengeful Ring, scrolls and enhancing items, damage skins, and more! When you visit the Maple Galaxy Academy, you will be given special event skills that can used for hunting monsters and earning Stardust! There are three powerful skills that you can learn. Starlight Explosion increases Weapon ATT/Magic ATT +10 while Stellar Staff summons aliens to take down monsters for you! 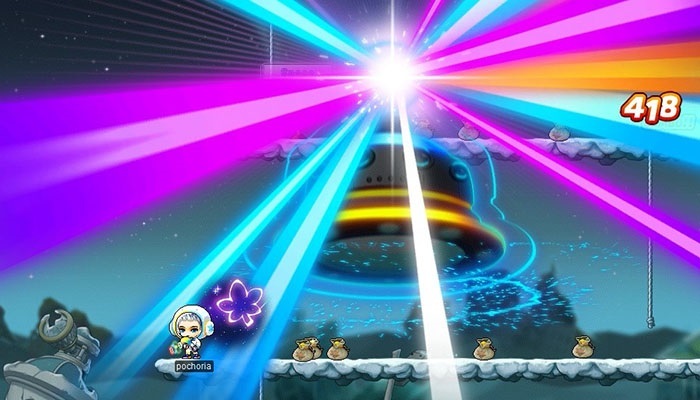 UFO Raid causes a UFO to appear, and you can use it to shoot lasers at nearby enemies. Roll the dice to move around a giant game board as the Dice Master event returns! Each shake of the dice lands you on a space that gives rewards or extra rolls. Try to avoid landing on a space that takes away your dice! A new bonus stage will be added that lets you keep rolling the dice to acquire better rewards. When you land on a reward space you’ll have the choice to claim the reward and end the stage, or keep moving forward to better rewards. However, as you move forward there will also be more fail spaces that could end the stage for you! 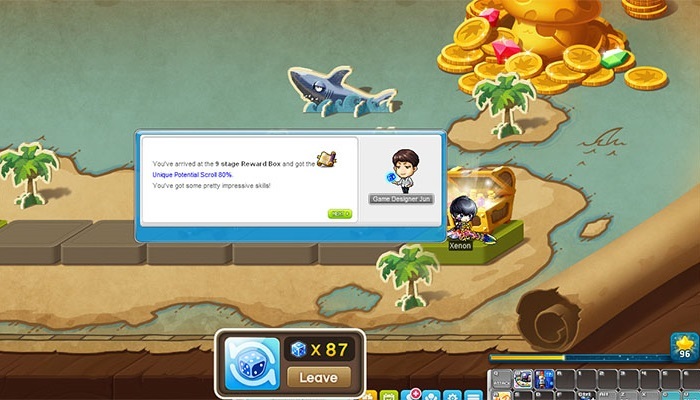 Collect rewards including EXP, mesos, Spell Traces, and new titles and chairs!